Governor Samuel Ortom of Benue State, on Tuesday, told Senator George Akume that the type of godfatherism being practised in Lagos State would not work in Benue. Ortom said Akume was attacking him not because he had not performed but because he refused to submit to the control of Akume, who wanted to be his godfather. and that it happened while serving as governor to prosecute his Senate ambition in 2007. Ortom, who spoke through his Special Adviser on Media and ICT, Tahav Agerzua, was reacting to a statement credited to Akume, in which he reportedly described Ortom’s performance in office as abysmal. Akume had in an interview with journalists at his residence in Makurdi alleged that Benue had realised over N500bn under Ortom, but there was nothing to show for it. The former governor regretted that Ortom could not pay workers’ salaries despite the income. Akume, who said he regretted bringing Ortom to power in 2015 and apologised to Benue people for his error of judgment. But reacting, Ortom’s aide said, “Akume’s criticism of Governor Samuel Ortom has nothing to do with performance but everything to do with Ortom’s refusal to be subservient and be subjugated to his (Akume’s) whims. “It has become a trend for Nigerian godfathers to suffocate their godchildren for failing to be totally slavish to them. 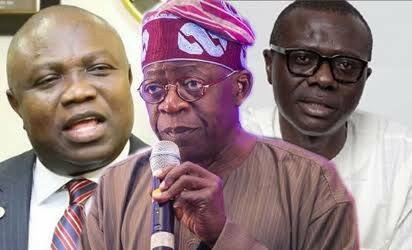 “This is unfortunate of godfathers who see themselves as gods as it happened in Lagos State.